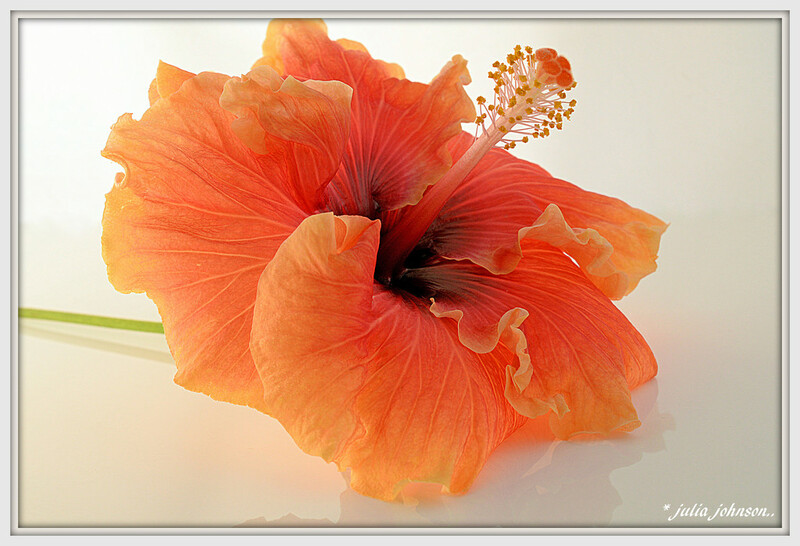 If you didn't already know ... Orange is my favourite colour ... and I just could not resist getting a shot of this beautiful Hibiscus that is flowering at the moment.. Love the ruffley edges on this one ..
A wonderful capture of this stunning flower. Great detail and colour, fav! Stunning, it really pops on black. fav. Excellent close up shot and great color. Certainly is a rich vivid colour! You must be very happy that Orange is such a fashionable colour these days Julz, beautiful flower! Stunning shot. So much detail, excellent on black. I love what you've done with this. Fav.